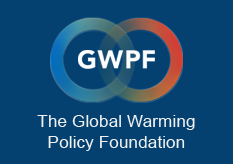 In its response to the 2014 Annual GWPF Lecture given last night by Owen Paterson, the Committee on Climate Change (CCC) has issued a statement to what Mr Paterson said. It was immediately taken up by the twittersphere, with some calling it “robust and thorough.” Unfortunately when it comes to Paterson’s claim that the earth’s surface temperature hasn’t risen in 18 years the CCC shows itself to be out of step with what has now become mainstream scientific opinion. In any physical measurement of continuous variables in the real world, especially the various temperature measurements used as climate change metrics, it is meaningless to quote a measurement without its associated error. Thus the CCC in quoting a 1998-2013 annual average global surface temperature ‘trend’ of 0.04 deg C per decade (based on HadCrut4 data). According to the CCC this is proof that Paterson is wrong. In reality, the CCC is being misleading. In any time series it is unlikely that over a selected period the gradient would be zero – even if the statistical properties of that time series are stationary. In other words, just finding a gradient doesn’t mean there is a real trend. The reason is simple: If the gradient falls within the errors of measurement then the standard scientific practice is to conclude that there is no statistical evidence for a trend. The 0.04 deg C per decade figure quoted by the CCC should have an error of +/- 0.15 deg C, a figure that is four times larger than that quoted by the CCC. The reason why the CCC finds a (statistically insignificant) positive gradient at all has nothing to do with global warming but the presence of two La Nina years – 1999 and 2000. Here is HadCrut4 from 1998 to the present day. The data ranges from a temperature anomaly of 0.14 to 0.85 deg C with no statistically significant gradient. There is no trend. Click on image to enlarge. The CCC should have also followed standard scientific practices. Firstly, starting any trend analysis with 1998, which was a strong El Nino year, is clearly nonsense. Trend analysis should also vary the start and end points to look at how inter-year variability might affect the outcome. Carry out the same analysis for 2001-2014 gives a cooling of 0.02 deg C per decade (+/- 0.17 deg C). Starting with 2003 gives a cooling of 0.047 +/- 0.22. Starting in later years yields with one exception a cooling “trend.” Note all errors are 2 standard deviations. So the CCC has been unscientific, cherry-picking and misleading. If a thorough analysis of HadCrut4 is performed over the past 17 years there is no statistically significant trend, either positive from 1998 or negative from 2001 onwards. The claim that global temperature is rising in this data set is absolutely rejected. This is not a slower rate of temperature rise, the data show no temperature rise in this period – period. Of course the world has warmed during the period in which global estimates could be made, post 1880. One can go back before the last 17 years and show there has been a rise and dilute the impact of the recent standstill. But there is no getting away from the fact that after 40 years of no change in global surface temperature (1940-1980), it started to rise again for 17 years (1980-1997) but has been constant since then. The rise and the subsequent standstill are now of equal length. It is curious then that the CCC say that the “temporary slowdown” has not been long enough to alter projections of future change when those very projections were based on a period of equal duration. Only campaigners, committees and some commentators use misleading phrases like ‘slowdown’ or ‘warming trend.’ In the peer-reviewed scientific literature, most scientists call it a temperature “hiatus” or “pause.” In fact, the global warming pause has become, as the journal Nature acknowledges, the biggest problem in climate science. It is a real problem that the CCC think it doesn’t actually exist.